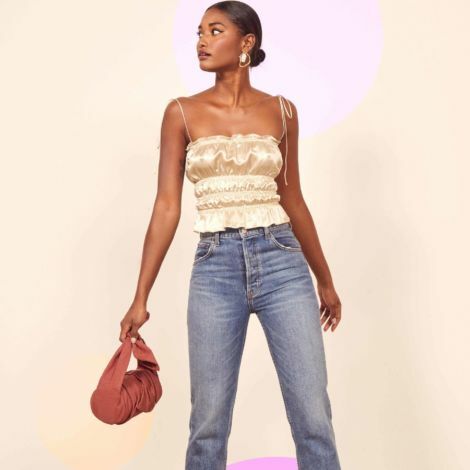 Strut by strut, these killer heels, flat-forms and pretty fly flats are having us ready to shoe shop for the fall. These sequence baby-pink flat-forms need not an introduction - just a runway. This isn't your average T-cross heel. 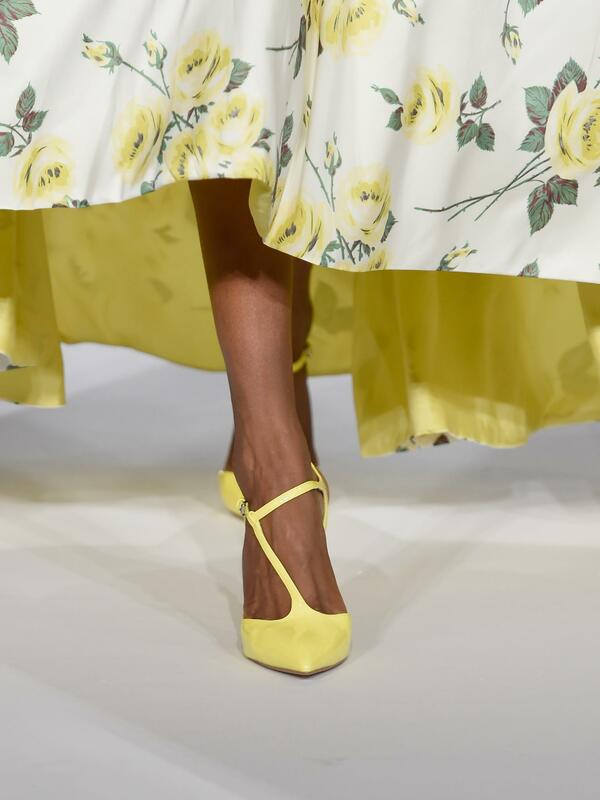 Sherri Hill opted out for a slanted T-cross heel in a bright canary yellow. 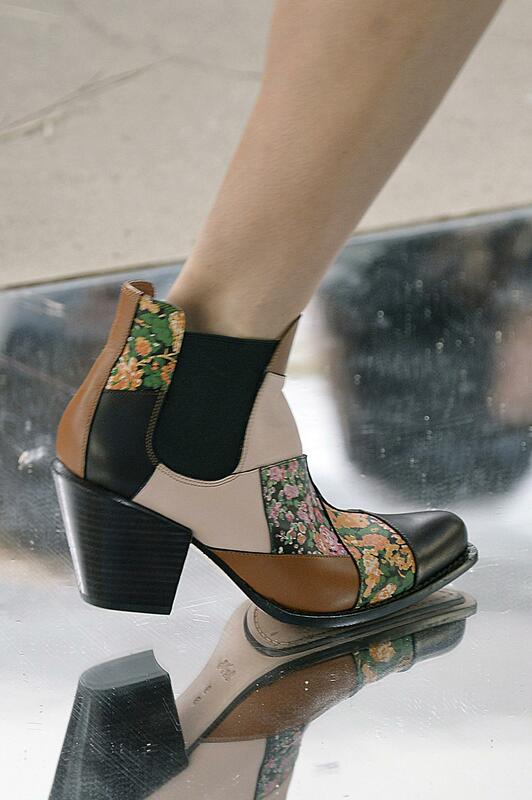 The cowgirl boot just got a major upgrade of floral patchwork. 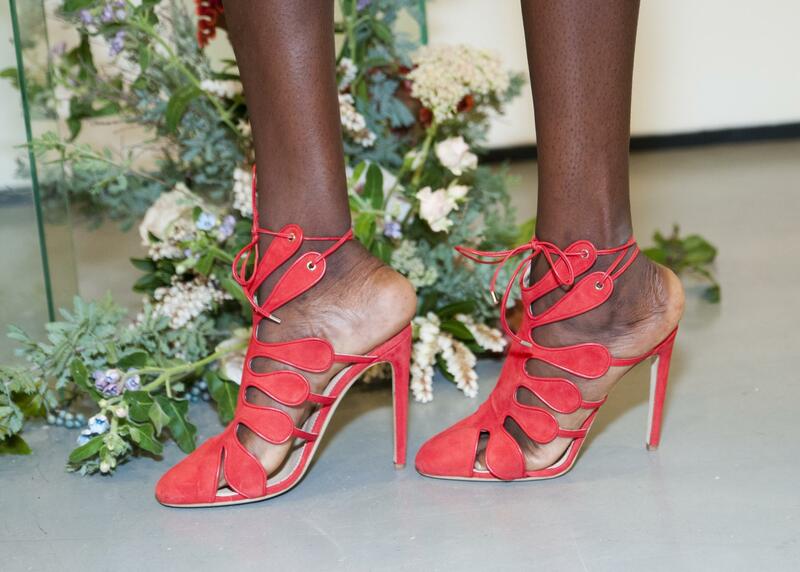 Ready or not, these stunning Chloe Gosselin heels are going to take over the sidewalks one strut at a time. Talk about being blown away. Brother Vellies was an all-time favorite that swept the competition away. Let's just say we can't wait to get our feet in them. 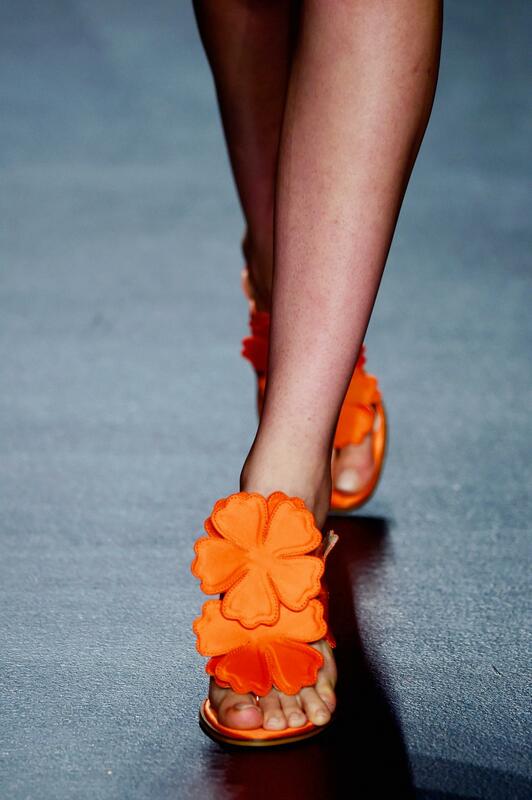 Bright neon orange hued heels with floral accents hit the runway in a fun and fierce way. 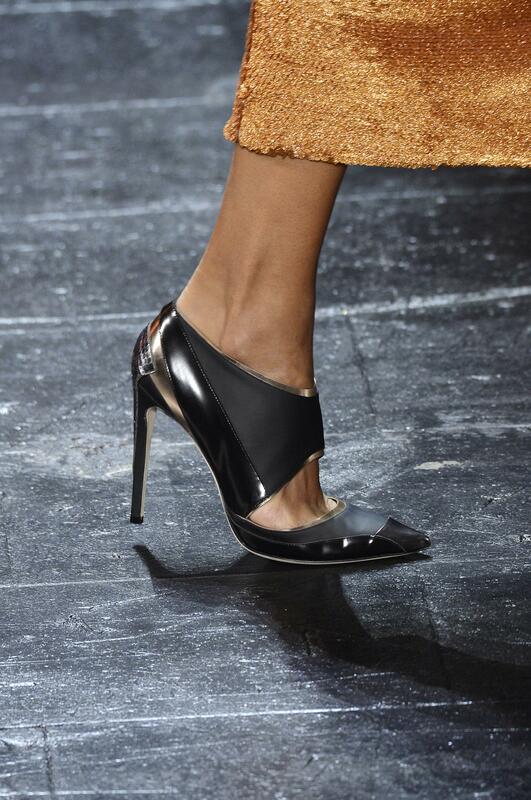 A sliver of a peep toe and a thin silver strap made this pump Tory Burch worthy. 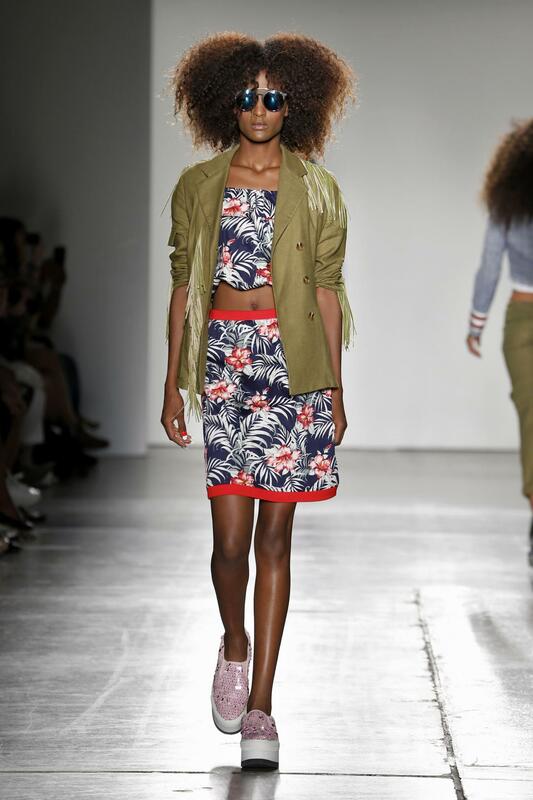 This kitten heel is roaring with style and oozing with color. 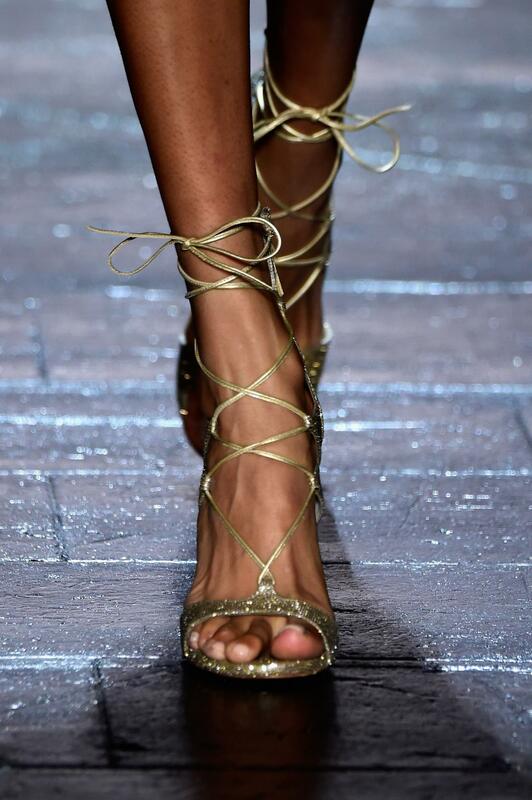 Laced up and dripped out in gold, these stilettos are sure to rock the town. 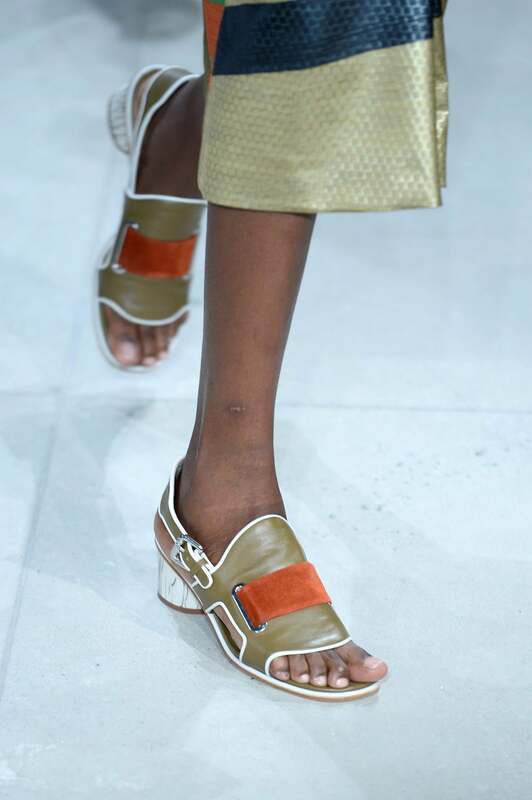 From the ankle wrap to the top design - How amazing are these statement flats? This bootie defines new heights not only with the killer heel but the small cut-out. 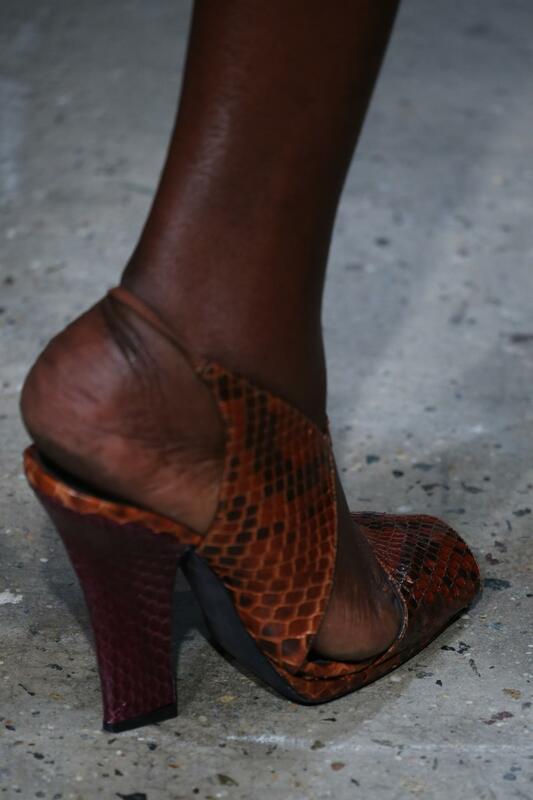 A peep-toe chunky statment heel will never go out of style. Pure perfection! 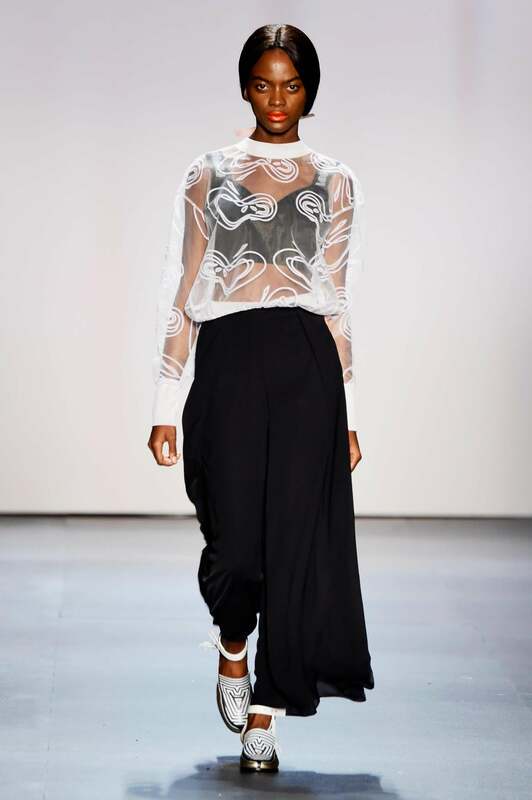 Of course that is the only option when it comes to Givenchy. 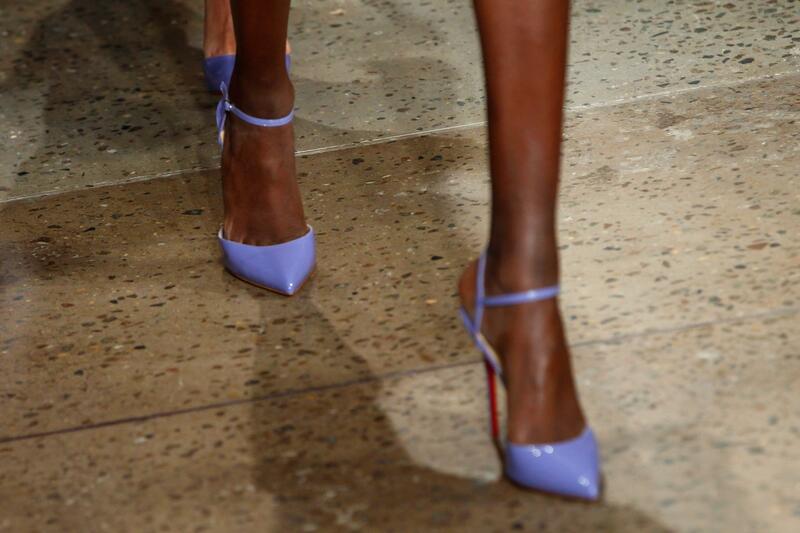 Cushnie Et Ochs took to a beautiful lilac stiletto to accent their stunning cut-out frocks and ensembles. 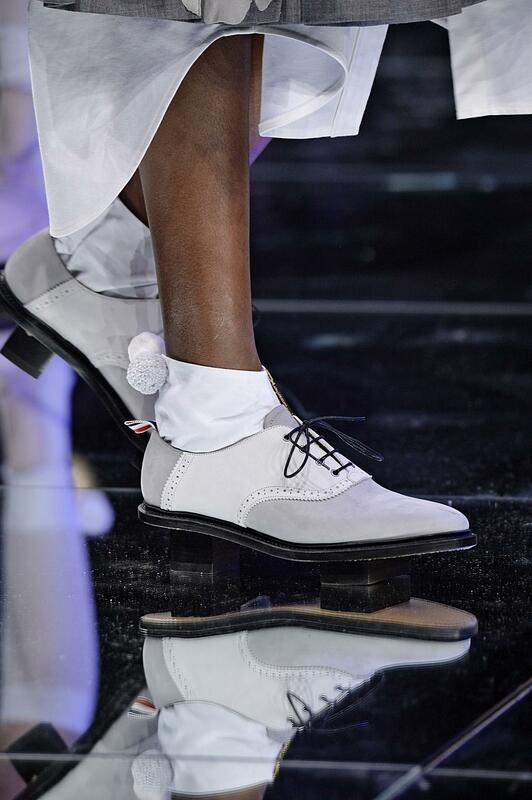 Such a cute upgrade of a masculine shoe to a feminine flatform. Just in time for the fall, these brown heels are everything and more!